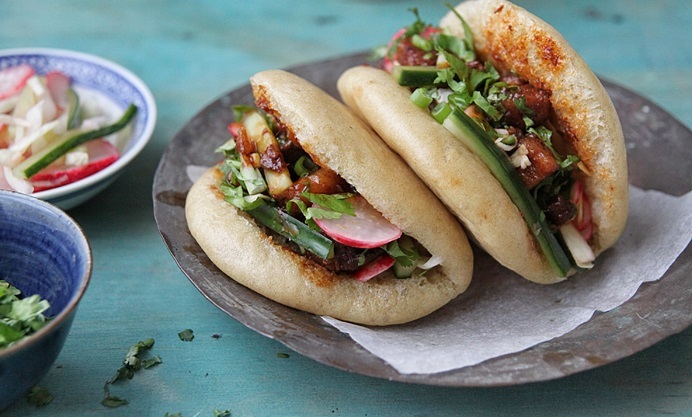 This gua bao recipe from Nisha Thomas offers useful tips on making these classic Taiwanese street food snacks. Packed with braised pork belly and garnished with tangy pickled vegetables, these buns are great for a party or get-together. 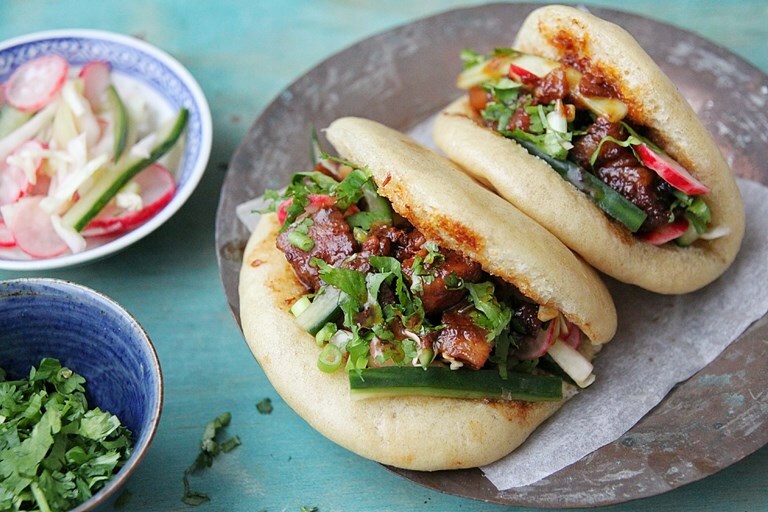 I first had gua bao at a street food stall in Shoreditch and there was no looking back. It’s been on my mind ever since to try them at home and was on the lookout for a trustworthy recipe. This Taiwanese street side snack is delicious and the soft steamed buns make it impossible to just stop at one. I admit it was a bit intimidating to see the different steps involved and the prep work needed, especially because I'm such a last minute, impulse cooking kind of person. Planning ahead is not my forte and so this idea of trying the gua bao at home was put to the back of my mind until I ended up having it again from the Kurobuta stall at Taste of London earlier this year. I had to make it, and so i did. Planned ahead, bought everything as per list and even made the pickle a 3 days ahead so I could have the ultimate experience. It all worked out well, except that I didn't put a baking paper to separate the folded buns and so they stuck together in spite of oiling them properly. It meant I had to slice them open and use the filling. Lesson learnt, so this time I did it the right way with a baking paper. Please make sure you do this. Having a big bamboo steamer also helps because you can steam two or three at a time. I had a small one so it took me an awful lot of time to steam one at a time. The good thing is you can make the buns, the pork and the pickle way in advance, which makes the process less stressful. The buns can be made even a week in advance and they just need to be stored in the refrigerator. Just re-steam before use and they would be as good as fresh. You can also experiment with different filling, like chicken or pulled pork, and I'm sure they'd taste fab. Nisha is a freelance writer, avid food blogger and wannabe food photographer.